Happy Fall! Our meeting will begin at 6:30 pm but you are welcome to gather at our normal time of 6 pm to mingle with one another until our speaker arrives. We will be in the lower level of the library, looking forward to seeing you all there. Beginner Beekeeping Classes will be taking place January 10 & 17th at the Olive Free Library! January 31st will be reserved as a snow date. This is a great opportunity for anyone looking to begin keeping bees or even a wonderful "refresher" course for those of you actively involved. Registration will be available on our website by next month. This month we want to hear from you! We would like to have an open discussion on the journey of your beginner beekeeping adventures. 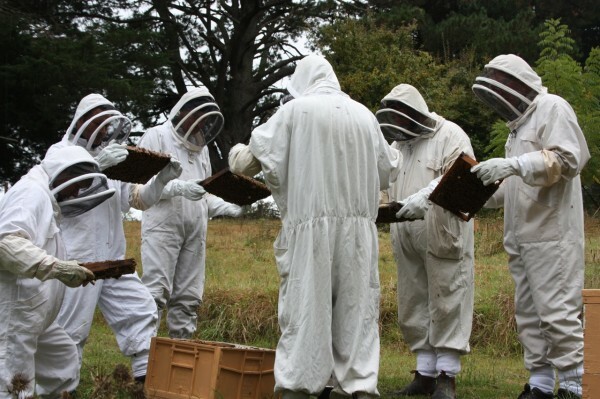 What was your most memorable experience, how did it help you grow as a beekeeper? What was one of your biggest challenges ? How did you get through it? These questions are a good foundation to get our open discussion underway.